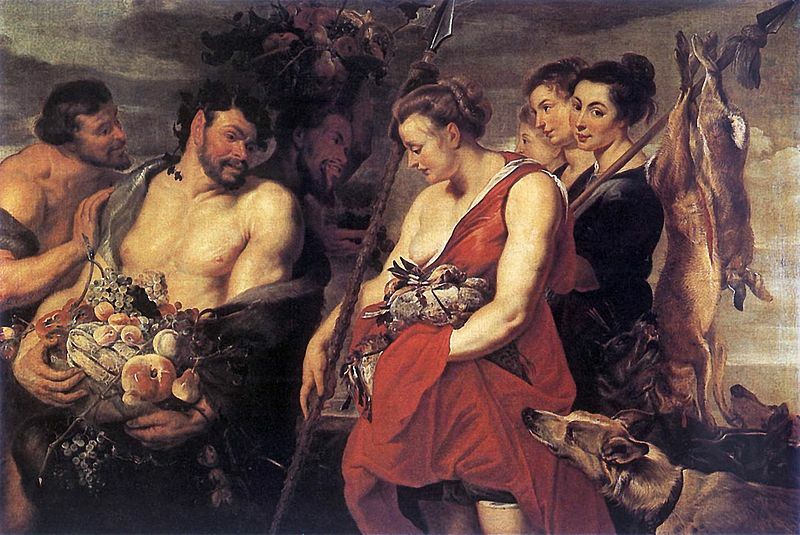 Rubens returned to Antwerp in 1608 from Italy, and he brought with him an interest in the heritage of Antique art and literature that developed into a cornerstone of his thinking and artistic production. After setting up home in Antwerp, he devoted himself with unfailing interest to Greek and Roman mythology, which he used for the subject of many works, mostly as private commissions. The goddess of Diana was evidently of great importance to Rubens in around 1615, for she could be combined with another subject that interested him: the hunt. Moreover, this subject was well received by his royal and aristocratic patrons: game hunting was the exclusive preserve of the ruling class. Rubens produced a number of large format hunting scenes in 1614-15, many with mythological backdrop. Read more at The Web Gallery of Art.